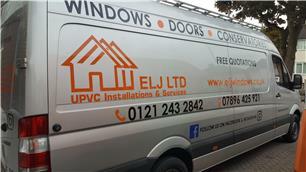 ELJ Installations and Services Ltd - Fascia/Soffits/Guttering, Windows/Doors/Conservatories based in Birmingham, West Midlands. ELJ Installations and services Ltd is a family run business with over 16 years’ experience in fitting, windows, doors and conservatories. We take a lot of pride in our work and only use what we believe are the best products on the market. We are fully Certass registered company and with this we offer all of our customers a 10 year insurance backed policy.